With the ModBargains Stage 2 Brake Upgrade Kit, you will be upgrading your factory brake system with a high-performance brake system without the expensive cost of a big brake kit. 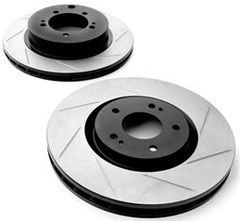 If you are looking to upgrade the braking system of the MK5/MK6 VW GTI, but you don't want to spend the money on an expensive big brake kit, then ModBargains has the perfect brake kit for you with our StopTech Stage 2 Brake Kit. The ModBargains StopTech Stage 2 Brake Kit for the MK5 and MK6 VW GTI includes everything you need to fully upgrade your brake system to a high-performance braking system. 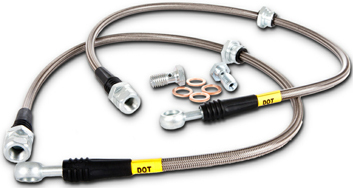 You will receive StopTech Slotted Brake Rotors, StopTech Street Performance Brake Pads, StopTech Stainless Steel Brake Lines, and a 3-pack of StopTech STR600 Brake Fluid. 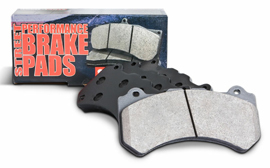 This brake kit will provide you with the essential brake upgrades for shorter stopping distances and more consistent braking performance. The StopTech Stage 2 Brake Kit is the perfect solution for those who want a high performance brake system for the street or track, but don't want to buy an expensive big brake kit. This synthetic fluid has a higher boiling point than stock fluid for operation in racing conditions. StopTech STR600 Brake Fluid provides improved pedal feel over typical brake fluids. The boiling points are 312°C/593°F dry and 206°C/404°F wet. You will be supplied with 3 500ml canisters.